See the latest news from the harvest fields. For over 40 years, Evangelist Reinhard Bonnke and Evangelist Daniel Kolenda have been conducting crusades the world wide. Here, you can read detailed accounts of each CfaN crusade! 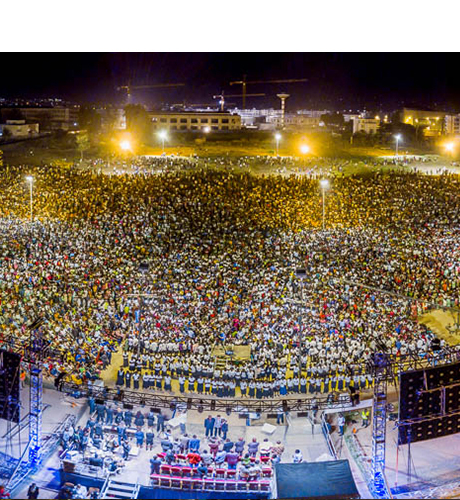 You will see people coming to Christ by the millions! 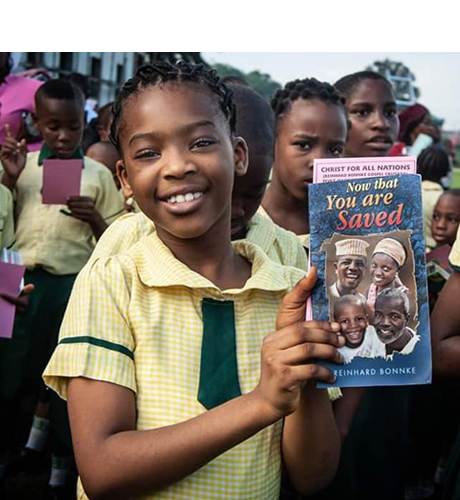 You can experience first-hand reports and testimonies from both Reinhard Bonnke and Daniel Kolenda and Christ for all Nations Crusade Team! Witness what the Lord is doing around the world and be encouraged to believe Him for the miracle you need in your life, today! 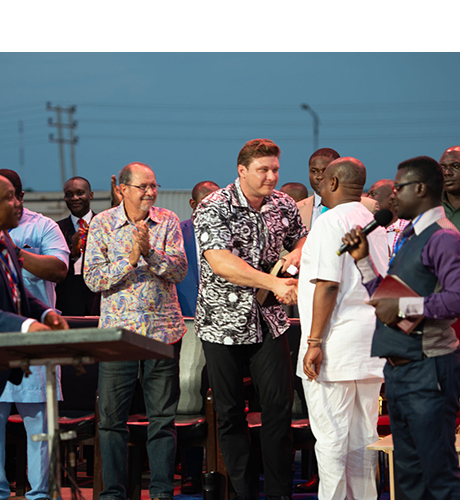 Evangelist Daniel Kolenda arrives in Port Harcourt, Nigeria! 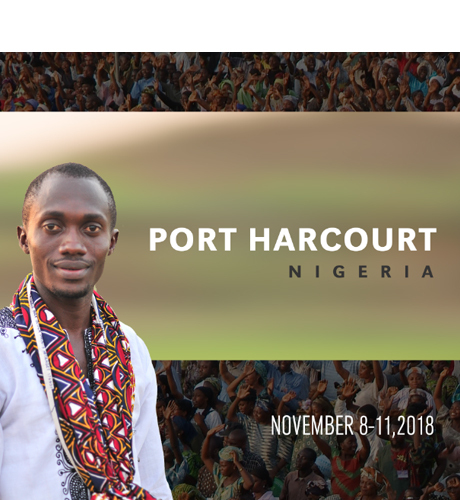 I have just arrived at my hotel room here in Port Harcourt, Nigeria where our next Gospel Crusade begins tomorrow night! As part of our “Decade of Double Harvest” initiative, we have already had nearly six weeks of non-stop evangelism taking place leading up to this event. I trained six teams of evangelists for this purpose. We gave them evangelism trucks that our team custom built for the punishing terrain and designed to facilitate mobile mini-crusades anywhere they can drive. Salvation at the Governor's Mansion! This morning I had the privilege of visiting the Governor of River State (where we are currently) together with Peter Vandenberg. The chamber was filled with state officials and leaders. I preached a clear Gospel message, invited them to receive Christ and several responded! Port Harcourt is the port town and capital of Rivers state, southern Nigeria. It lies along the Bonny River upstream from the Gulf-of-Guinea. Founded in 1912, it began to serve as a port (named for Lewis Harcourt, then colonial secretary) after the opening of the rail link to the Enugu coalfields in 1916. 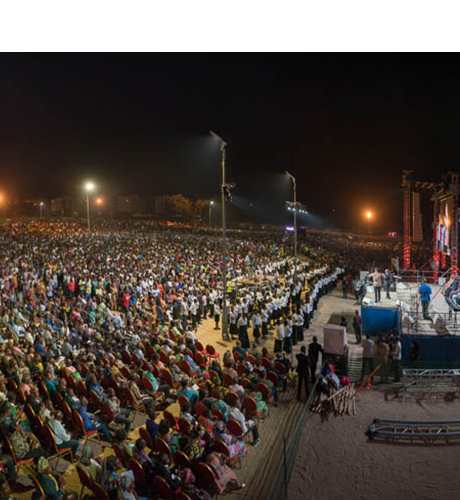 The last meeting of our crusade here in Brazzaville, Congo has just come to an end. Today has been a day of Holy Spirit outpouring, both morning and evening here in Brazzaville, Congo. This morning the Fire Conference concluded as Peter Vandenberg and I ministered to the pastors and church workers.